Blessed with St Martin’s Church – the oldest church in continuous use in the entire English-speaking world – King’s School Canterbury, the oldest-surviving school in the world – and the headquarters of the C of E, the oldest-surviving ecclesiastical organisation in the English-speaking world, Canterbury occupies an extraordinary category all of its own in our study of the evolution of cities. Its extensive archaeological and architectural remains indicate successive waves of conquest, and cycles of immigration, civilisation, dilapidation and renewal: Celts, Romans, Jutes, Danes, Anglo-Saxons, Normans, and Huguenots came, stayed, and disappeared leaving indelible traces. Its Celtic tribe (the Cantiaci) was roundly defeated by the Romans, who gave it the name, Dunovernum Cantiacorum, plus the essential Roman infrastructure of grid plan, theatre, temples, forum and public baths. Following the Roman departure, in 597, Pope Gregory the Great sent Augustine to Kent to convert the local king Aethelbert to Christianity. Augustine established his seat there, and Canterbury thus became the first English Cathedral. By as early as 672 it was given jurisdiction over the entire English church. After a further two centuries of Danish depredations, St Dunstan refounded St Augustine’s Abbey, many of whose remains are, miraculously, still extant. The Normans built their Castle here in the 11c; Lanfranc rebuilt the Cathedral from 1077. After 1170 the Cathedral’s entire east end became a shrine to Thomas à Becket. The Pilgrim’s Way, a pre-existing ancient track, brought Chaucer’s pilgrims to Canterbury in the 14c. Numerous early buildings survive in whole or part from the city walls to the remains of monasteries, even humble weavers’ cottages. 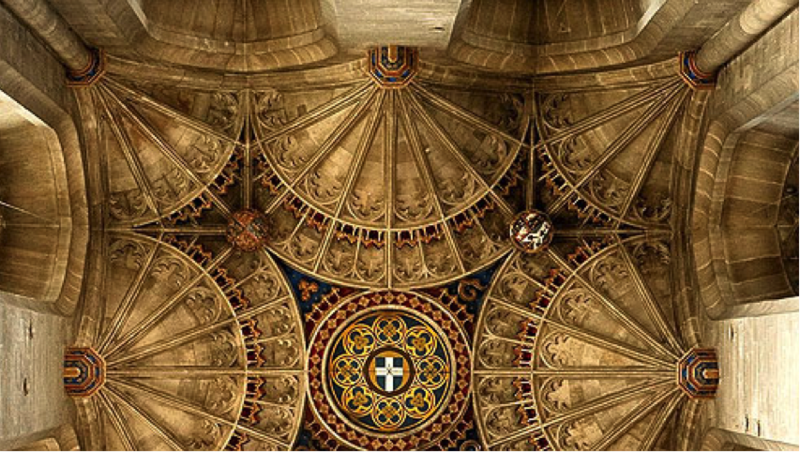 We have arranged private tours and lectures by leading local experts from the University of Kent, Canterbury Archaeological Society, and the Archivist of Canterbury Cathedral, together with special openings such as that of the medieval synagogue now in the Kings School. We stay actually in the lovely Cathedral precinct on the site of the ancient monastic cloister at the modern but discrete Cathedral Lodge.